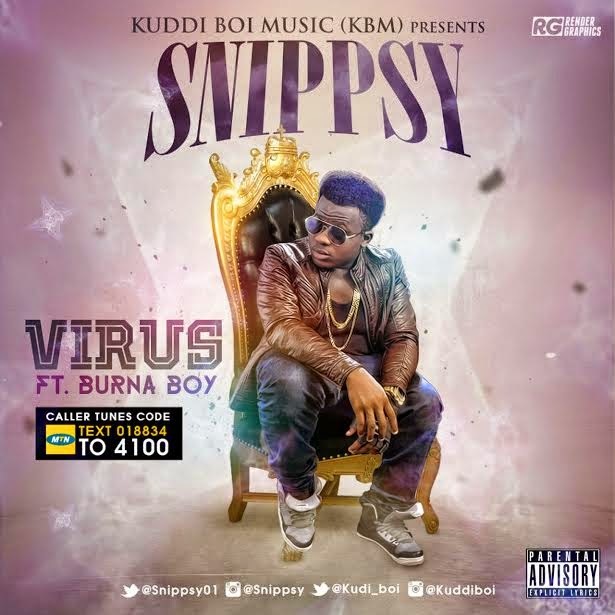 KUDDI BOI MUSIC (KBM) presents a brand new single "VIRUS' by SNIPPSY featuring BURNA BOY. The mind blowing song is produced by GOSPEL ON D BEAT with Creative visuals filmed by MATTMAXX. The 18yrs old singer born (Ndifreke Obong) who is based in Abuja, wont fail to impress his yearning fans. SNIPPSY Bagged his first award last year December for his first single "OH MY BABY" as song of the year at the annual Ammaward held in Abuja barely a year into his career.